Maggie’s teaching is always practical first and foremost, and she works initially to identify the needs of the community she serves. Growing up in rural Nova Scotia inspired Maggie’s interest in a relationship-building approach to community development, equity and social justice. During nearly four years of field and research experience in Sub Saharan and East Africa, she worked with diverse groups of youth, and specialized in using sport and recreation as a tool in community development. . With nearly four years of field and research experience in Sub Saharan and East Africa, she has worked with diverse groups of youth, and has specialized in the area of sport and recreation as a tool in community development. A CIDA internship facilitated by the Coady International Institute took her to an AIDS orphanage in Botswana. Working with orphans and their caregivers, she developed recreation programming such as HIV/AIDS peer education football program, and a community drama initiative. Maggie spent a year and a half with Right to Play stationed in Congolese and Burundian refugee camps in Tanzania. In partnership with refugee coaches and teachers, Maggie initiated the development of a play based peace-building curriculum; the building of safe play spaces; camp-wide teacher trainings; and the implementation of inclusive play programs for girls, women and children with disabilities. She returned to Tanzania as Country Manager for Youth Challenge International, where she coordinated teams of Canadian youth volunteers as they partnered with youth-led organizations in Tanzania, focusing on projects that provided HIV/AIDS education, prevention and support. Maggie also worked with Inuit youth on youth leadership in recreation through Sport Nunavut. 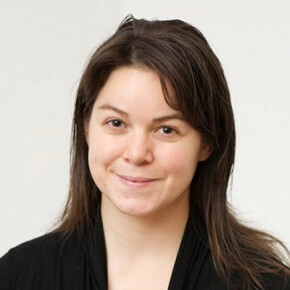 Maggie completed her Masters at the University of Toronto, where she focused on the role of sport-based interventions in international development. While studying, she worked on research for the International Working Group on Sport and Development. Maggie’s Masters research critically examined the use of sport as a tool in challenging and transforming gender relations in Tanzania. In 2017, Maggie won the prestigious US $1 million Global Teacher Prize in recognition for the amazing and challenging work she has been doing as a teacher and community builder in the northern community of Salluit, Nunavik, Canada. She was chosen from among 20,000 initial nominations and applications from 179 countries. MacDonnell said that she would like to establish a non-profit that would run environmentally focused programs for northern youth. Maggie pursued studies in social entrepreneurship, indigenous health, transnational feminism, and the role youth are playing in participatory research for community development. Her Academic Mentor during her Sauvé year is Dr. Ann C. Macaulay, O.C., Inaugural Director of the new Participatory Research at McGill (PRAM) whose mission is to promote all forms of participatory research and further the academic understanding of this approach to research. Specific projects Maggie worked on included developing a participatory, youth-led chocolate making cooperative in Zanzibar, as well as collaborating with female athletes in Tanzania to create empowering sport opportunities for women. Maggie also used this time to explore several new areas of interest, including documentary film making.